PEOPLE are being warned to be on their guard after reports of a woman carrying out a doorstep con in and around Morley. 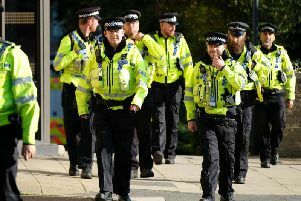 Morley Neighbourhood Policing Team (NPT) are investigating reports of a woman knocking on doors and asking for money. She says she works locally, but has left her Metro card and bank card there and is unable to get home. She then asks for £25 to pay for a taxi, promising to return the next day with the money. Insp Paul Sullivan, who leads Morley NPT, said; “We now know this is a scam and we are seeking this individual - but people need to be made aware of how she works.